50 Games Like Candy Crush Saga: Let's Crush'Em All '+g+"
Candy Crush Saga is an addictive puzzle adventure from King.com with more than 650 levels. The game is solely based on a match three or more mechanism where you must complete the level objectives within a set number of moves. The game can get extremely frustrating with each level, and have you spend a little more than you'd like. 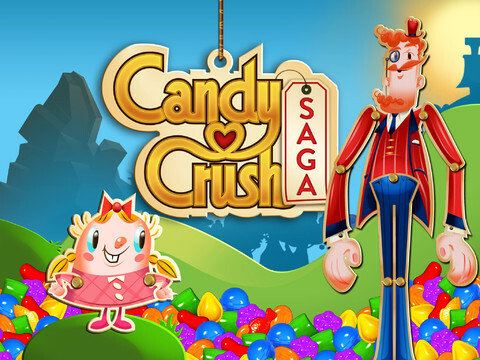 If you're a fan of the match-three games with cool graphics like Candy Crush Saga then checkout this list of recommendations for games similar to Candy Crush Saga and don't forget to mention if we miss any games as we keep on updating this list. Candy Crush Soda Saga is free to play match-3 puzzling adventure game like Candy Crush Saga with more new combinations, game modes and candies from King.com the developers of the original Candy Crush Saga game. Farm Heroes Saga is an match three farming adventure game from King.com the makers of Candy Crush Saga. It is available on Facebook, iPhone, iPad, iPod Touch and Android devices. Become a Farm Hero by completing level objectives and fighting against the evil Rancid the Raccoon. Bejeweled Blitz is a match-three puzzler by PopCap Games and a total recommendation for those who love tile-matching games. You have 60 action-packed seconds to get as high of a score as you can by matching together three or more gems of the same kind and compete with your Facebook friends. Candy Jewels is another match-3 game like Candy Crush Saga with awesome power-ups amazing graphics and music. Bubble Witch Saga is yet another puzzle adventure saga game from King.com the makers of Candy Crush Saga and Farm Heroes Saga. With about 500+ levels to play the game is available for free on Android, iPhone, iPad, iPod Touch, Facebook, and Kindle devices. Candy Blitz,..... if you can think of more, then don't forget to mention it in comments.